Fantastic newer construction home built in the charming neighborhood of Cape Haze Windward. Built in 2016 by one of the area's premier builders, Pope Construction, the 3 bedroom plus large den property offers outstanding construction features such as impact rated windows and sliders, zero corner sliders in the living room, solid concrete slab flooring, 8 ft solid core interior doors, tall 12+ ft ceilings. Excellent trim package including quality door casings, large base board, and crown molding. Wood cabinetry, stone counters, stainless steel appliances, and tile flooring throughout the living areas. The southwestern facing property has frontage along manicured greenbelt property and Amberjack Creek canal. 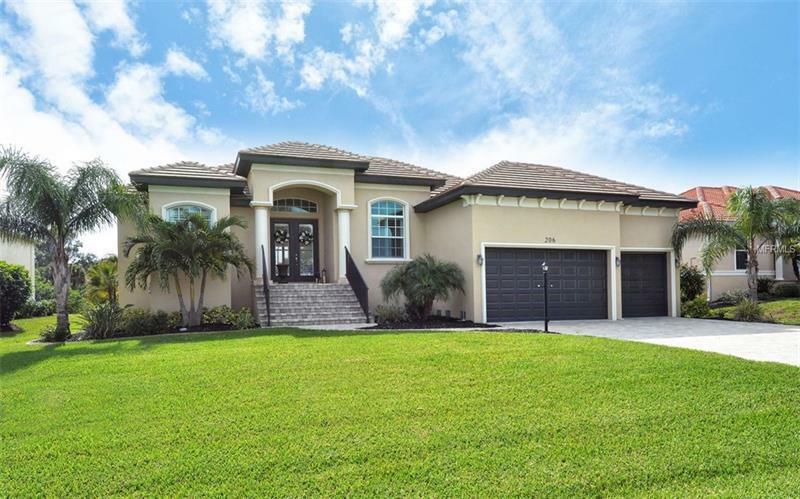 The home offers tremendous outdoor living luxury, including a beautiful pool lanai space with pavers and large covered area, also a terrific outdoor paver patio with a large fire pit. Located in the heart of Placida Windward is just a short walk to Publix and other essential shopping. Just minutes to five full service marinas, numerous public and private golf courses, historic Boca Grande, miles of tranquil sandy beaches, and world-class fishing. Pet Restrictions: No limit on number or weight of pets. Must be on leashes and maintain control.